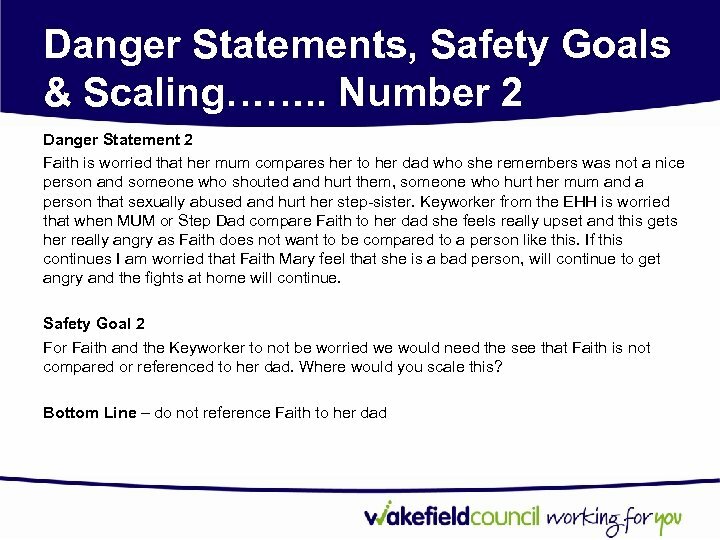 Danger Statements, Safety Goals & Scaling……. . 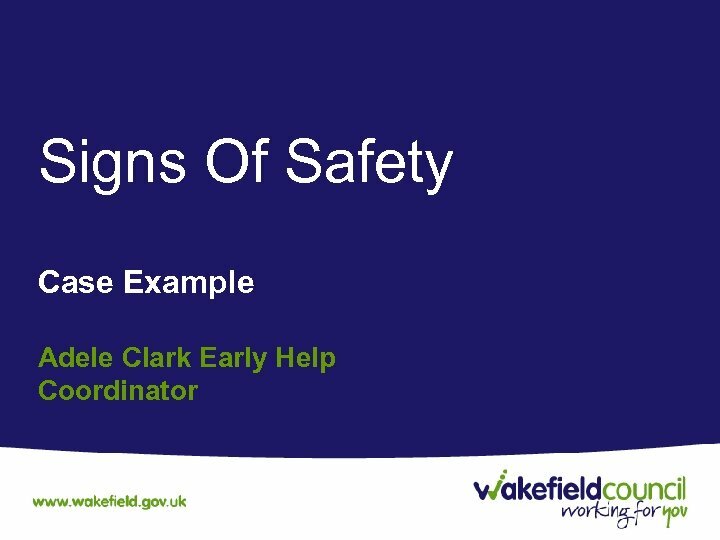 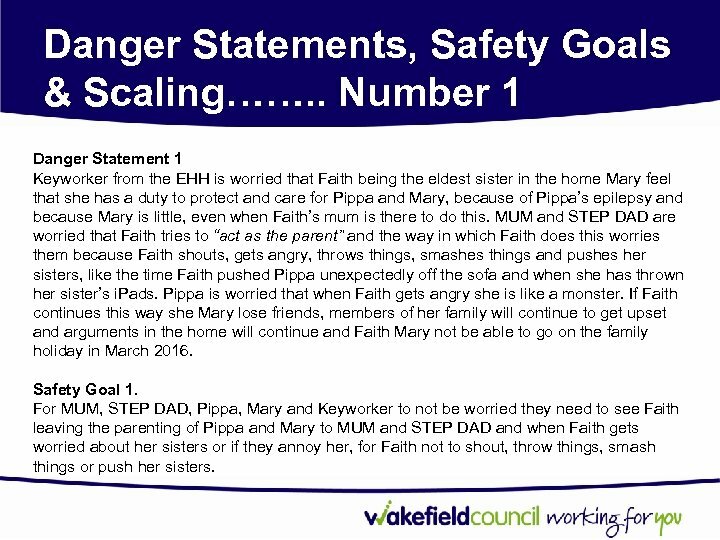 Number 1 Danger Statement 1 Keyworker from the EHH is worried that Faith being the eldest sister in the home Mary feel that she has a duty to protect and care for Pippa and Mary, because of Pippa’s epilepsy and because Mary is little, even when Faith’s mum is there to do this. 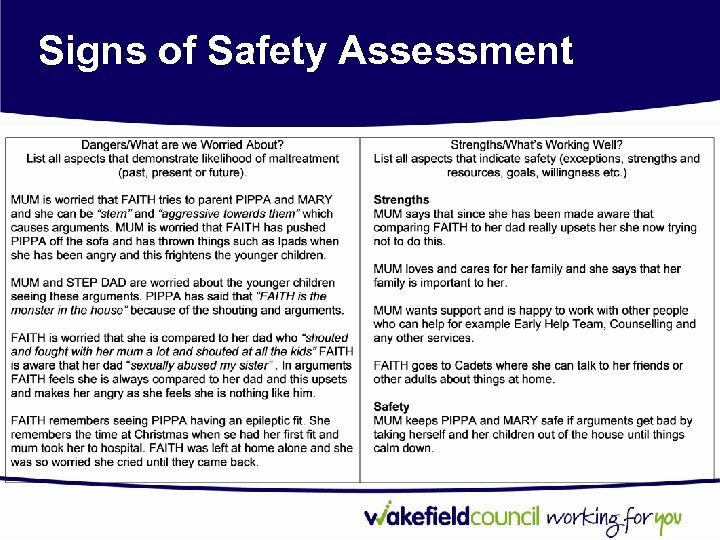 MUM and STEP DAD are worried that Faith tries to “act as the parent” and the way in which Faith does this worries them because Faith shouts, gets angry, throws things, smashes things and pushes her sisters, like the time Faith pushed Pippa unexpectedly off the sofa and when she has thrown her sister’s i. Pads. 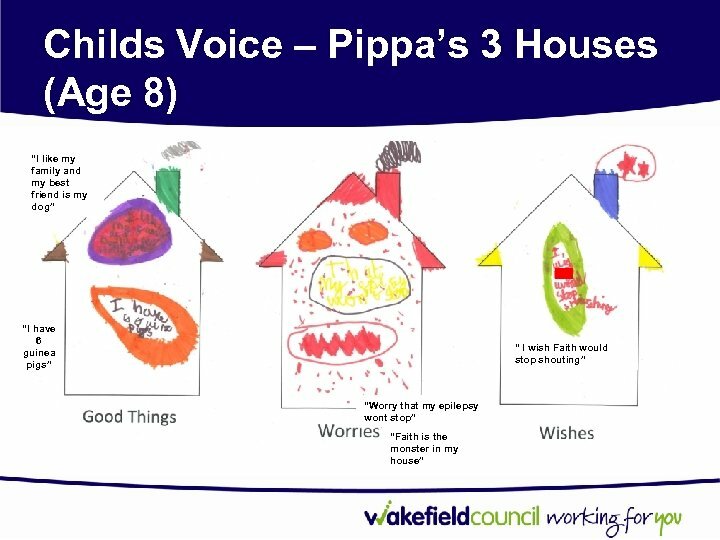 Pippa is worried that when Faith gets angry she is like a monster. 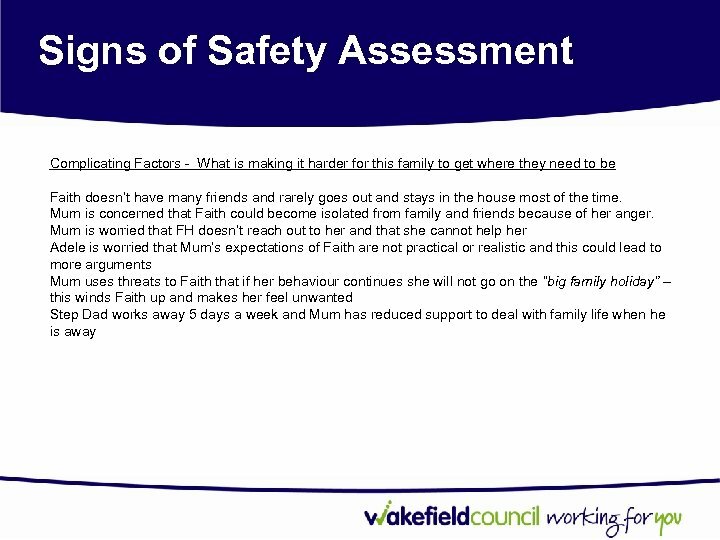 If Faith continues this way she Mary lose friends, members of her family will continue to get upset and arguments in the home will continue and Faith Mary not be able to go on the family holiday in March 2016. 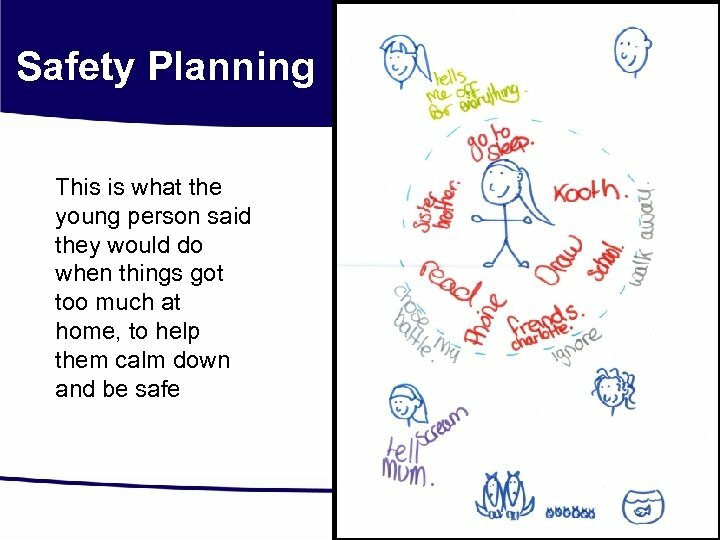 Safety Goal 1. 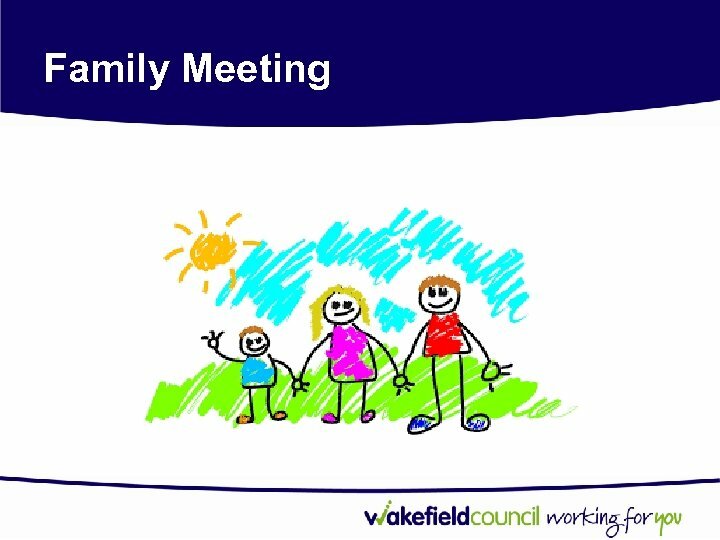 For MUM, STEP DAD, Pippa, Mary and Keyworker to not be worried they need to see Faith leaving the parenting of Pippa and Mary to MUM and STEP DAD and when Faith gets worried about her sisters or if they annoy her, for Faith not to shout, throw things, smash things or push her sisters. 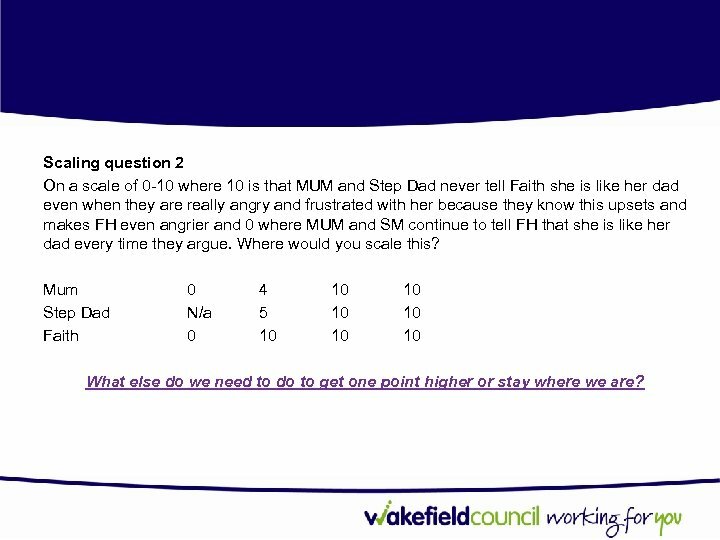 Scaling question 2 On a scale of 0 -10 where 10 is that MUM and Step Dad never tell Faith she is like her dad even when they are really angry and frustrated with her because they know this upsets and makes FH even angrier and 0 where MUM and SM continue to tell FH that she is like her dad every time they argue. 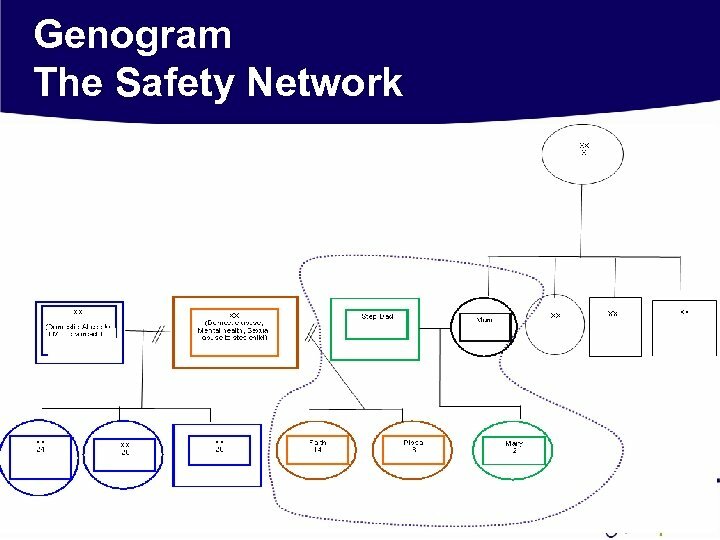 Where would you scale this? 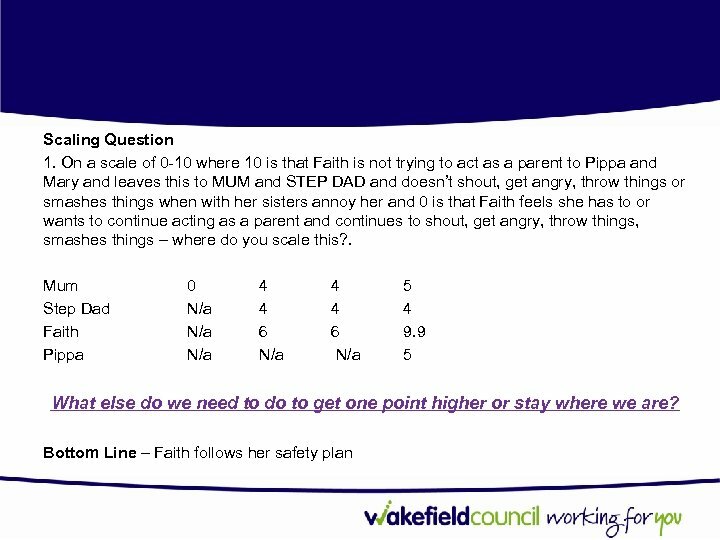 Mum Step Dad Faith 0 N/a 0 4 5 10 10 What else do we need to do to get one point higher or stay where we are? 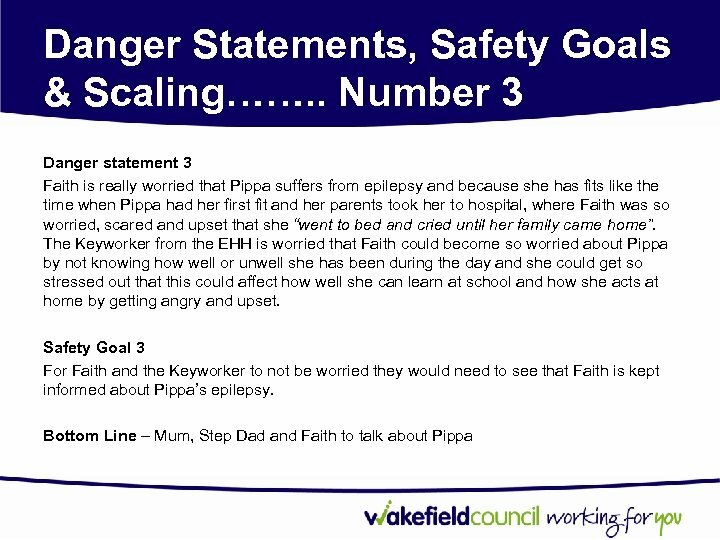 Scaling question 3 On a scale of 0 -10 where 10 is that MUM and Step Dad will let Faith know as and when she needs to know about how Pippa’s epilepsy has been during the day and 0 where MUM and Step Dad don’t think that it should be a concern for Faith and they will only tell Faith when they want to where would you scale this? 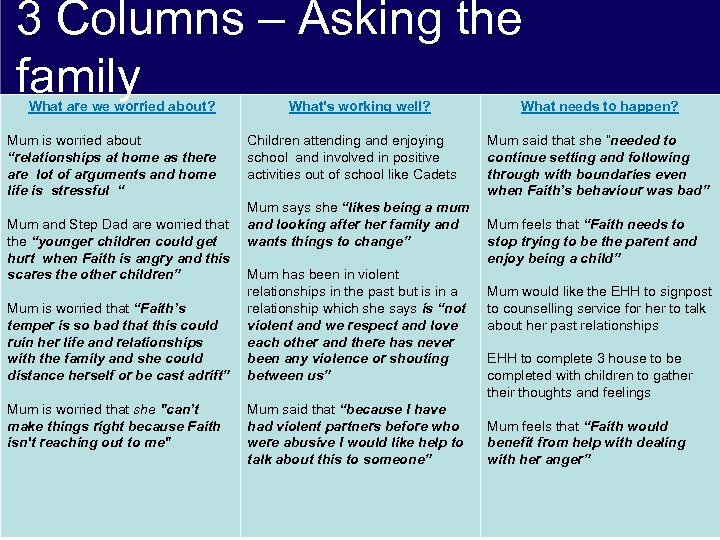 Mum Step Dad Faith 5 N/a 5 5 5 10 What else do we need to do to get one point higher or stay where we are? 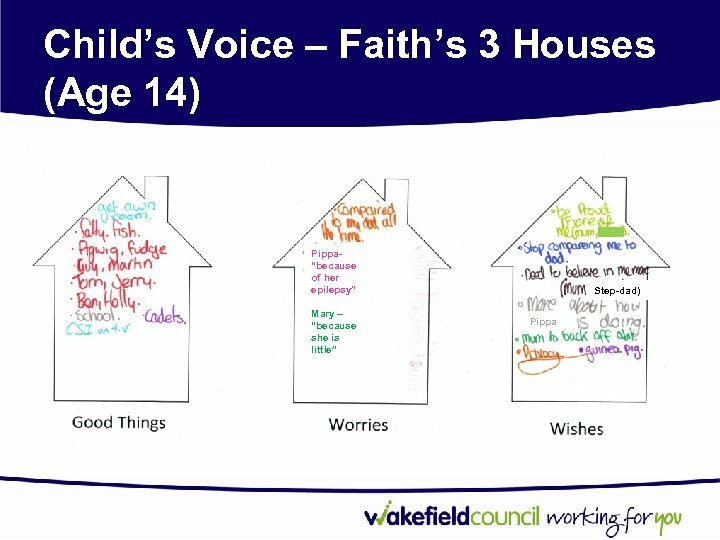 Feedback from Faith Taken from the closing sum Mary: Faith said that she was worried that the Hub was closing the case as she was able to talk about things that worried her. 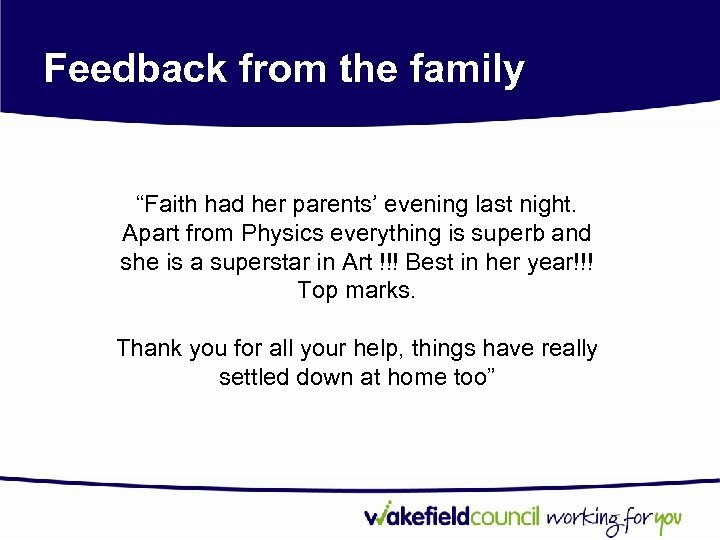 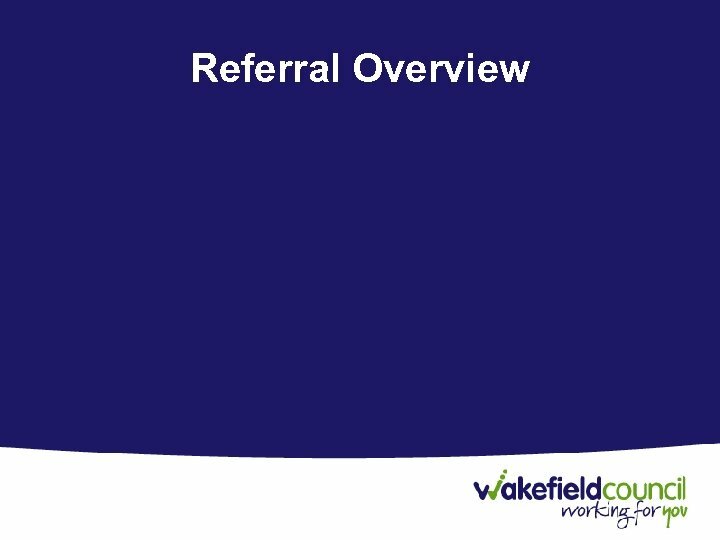 Faith identified a teacher who she got on well with and someone she felt she could talk to about anything at home or at school that worried her.